Ah, the family road trip. It's the type of thing that can be very exciting yet quickly take a turn for the worse. 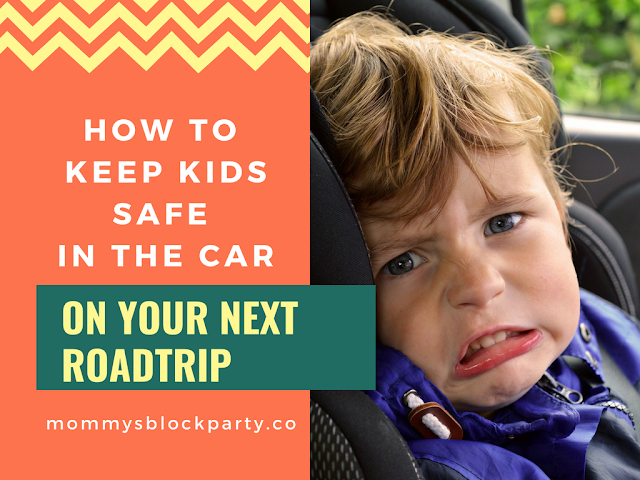 If your kids are good little travelers, road tripping might be a breeze for your crew, but if you have kids of different ages and temperaments, calamity can ensue at any point in time. As parents, it's best to be prepared and have a game plan or course of action for keeping the kids safe and entertained. After all, your goal is have happy memories at the end of the trip, right? Start by choosing the right car for your family. A road trip might seem like a good time to rent a car or try something new and fun. The reality is- you're much more likely to have an accident in a vehicle that you're unfamiliar with, especially when you'll be driving for many hours. If you can help it, plan to take your family car on the trip. A lot of families worry about tacking on a bunch of extra miles when they take their cars on long trips, but there are ways to help your car get good gas mileage. Think of it this way- if this is a car you drive every day, your family is already used to it, and they're likely comfortable in it. If your family car is in need of an upgrade, if at all possible, trade in or buy new before taking a big trip. Make sure seats are installed properly. One of the best ways to protect your kids on a long car trip (or anytime) is to make sure they are properly restrained in the car. Upgrade your car seats as necessary as your children grow. To make sure you're using the safest seats possible, check safety ratings and customer reviews before making your purchasing decision. Stay up to date on all recalls and if your child's seat happens to have a recall out on it, make sure you take the proper steps to have it replaced or to have parts replaced as necessary. Once you have the proper seat, make sure you install the seat properly in the car. If you need help, take it by your local fire station and have them check it for you. No outerwear in car seats. A big hazard when it comes to kids in the car is not being fully protected by their safety belts. One of the ways to cut down on any chance of them not working properly is to remove outerwear or bulky clothing before putting seatbelts on. Added bulk from clothing or jackets can result in a loose fitting seat belt, which can result in injury or worse in the event of an accident. If your kids tend to get cold in the car, keep one light blanket per child in the back seat, so they can over up with it if they need to. Before I became a parent, I wouldn't have given a whole lot of thought to keeping a small plastic bag for trash in the back seat. Now that I have two kids, it's a red flag and a no-no, as it might wind up on the head of one of my kids, causing potential suffocation. My 7-year-old knows to keep his headphones well out of reach of his 2-year-old sister, so she can't accidentally wrap the cord around her neck while in her car seat. Look for potential hazards from a child's perspective before you embark on your trip. Make sure the car is running smoothly. Be sure to get an oil change and tune up before you embark on your roap trip. Keeping your car healthy will help lead to a smooth ride and hopefully, a trip without any unplanned stops. Road trips do take some planning, and there are bound to be a few tears shed here and there, but just keep in mind that you're creating a memorable experience your family will look back on and cherish! This post brought to you by Thompson Chrysler Jeep.